Peer-to-peer lending offers private investing options, but comes with higher risk. 2. What Mortgage Interest Rate Would I Get for a FICO Score of 700? Peer-to-peer lending is a more personal type of investment that allows smaller, private investors to give loans directly to consumers. The borrower has a lower interest rate, and the lender has a chance at getting a higher return. However, the loans are not secured by any collateral, so the risk is high. Create an account on a peer-to-peer lending website. Once the website verifies your account information, your lender status will be approved. Deposit the amount you wish to lend. Most peer-to-peer websites require a minimum deposit of $25 to make a loan. Find borrowers you want to lend money to by browsing profiles on the site. Profiles will include the amount requested, how the money will be used and the borrowers' credit history. Decide your risk tolerance and spread the risk. Borrowers with good credit will receive lower interest rates on their loans. Higher interest rates may bring greater risks. Make loans and collect payments. Once you have loaned money on the website, borrowers make monthly payments that are deposited directly into your account. Read the borrowers' profiles carefully. Some borrowers may have had bad luck that lowered their credit rating. Other borrowers might be unwise or scammers. Peer-to-peer lending is higher risk because the loans are not insured, and you cannot collect on a default. 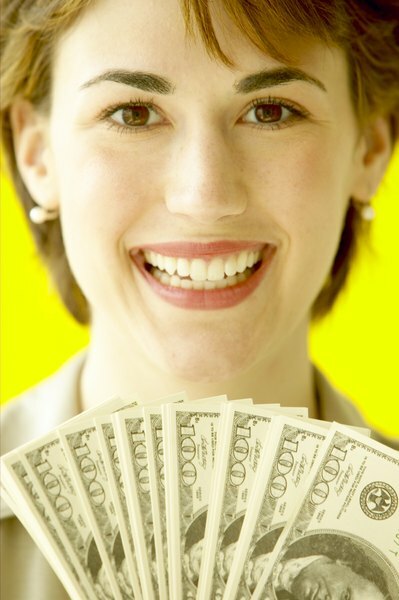 Spread your loans out so that you are not placing too much money and risk on one borrower. Wall Street Journal: Would You Lend Money to These People?